February | 2014 | Om nom nom! 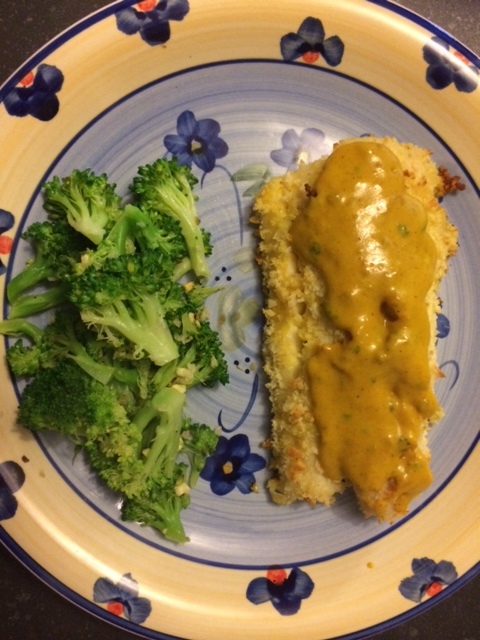 This was a Madhur Jaffrey recipe that looked really interesting, and Shawn picked up some nice haddock fillets so it was a good fit. We really liked both the simple preparation of the fish and the sauce! I am not usually a star at breading/baking fish, but I followed this to a tee and it came out perfectly. The sauce would also be really nice with chicken or pork as well. All-around great recipe…pretty much like every Madhur recipe we’ve tried. 🙂 We had this with ginger-garlic broccoli on the side. 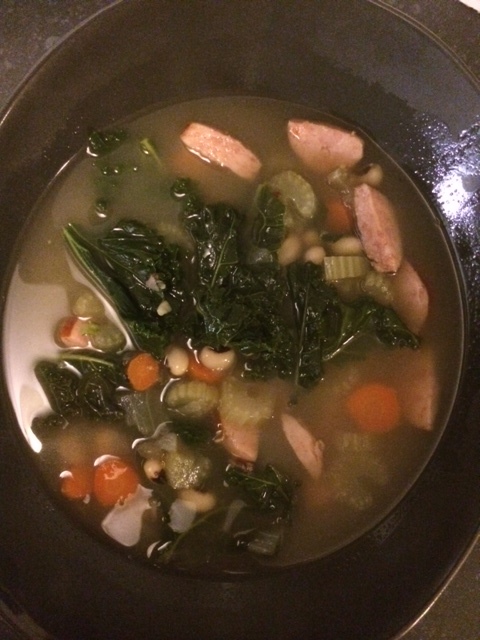 Random graving for black-eyed peas and soup on one of our Polar Vortex nights led to this concoction, which we really liked – easy, filling, and really tasty. 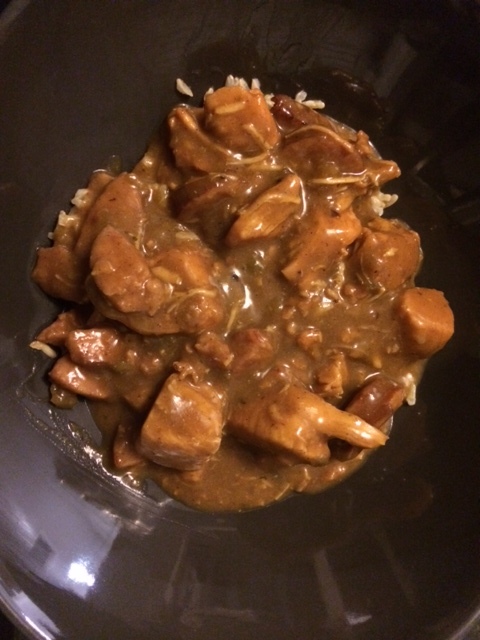 Also not too bad for you, either – you could substitute a chicken or lower fat sausage where I used kielbasa. You can also use any greens you like, I just happened to have kale. Swiss chard or collard greens would be great. Versatile and good to clean out the fridge, too. 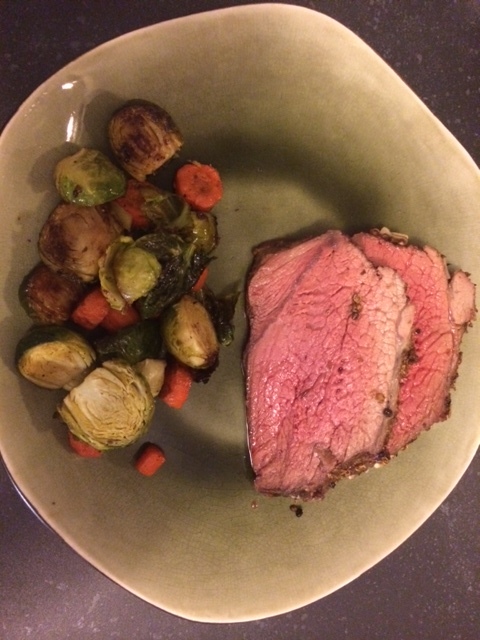 We loved this spice crust – probably one of my favorite roast beef meals I have ever done. I changed nothing except that orignal recipe (from Bon Appetit) called for all root veggies, and I roasted carrots and brussels sprouts together – excellent with the pan drippings. 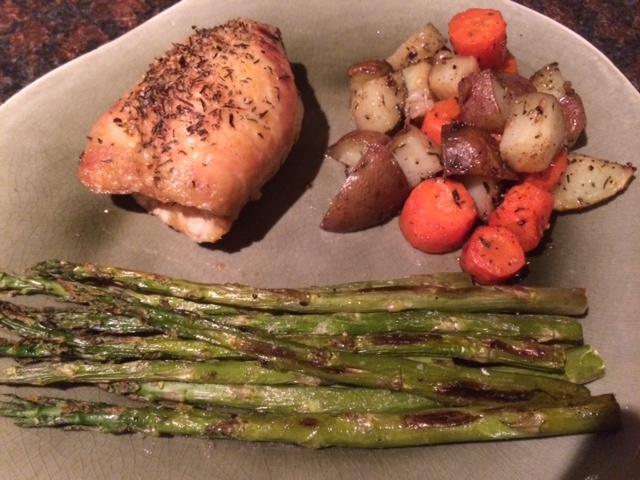 This was a great winter meal and you could conceivably do any mix and match of roasted veggies that you like. This was quick and easy for a weeknight (or a busy weekend), and very versatile. You could really put any veggies in here – I am not a fan of taters, but parsnips would actually work really well with the herbs on the chicken, and you might even be able to add squash. A nice, hearty dinner that we enjoyed, which is done quickly. We had this with garlic roasted asparagus on the side.